More than 360 additional students from remote Territory communities will benefit from residential camps designed to prepare them for boarding school, thanks to a $735,000 three-year agreement between the Department of Education and AFL Northern Territory. 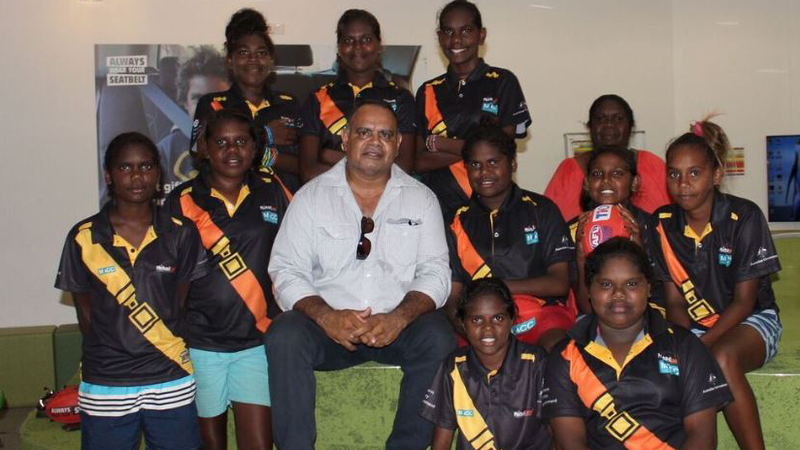 The funds will go towards education programs run by the Michael Long Leadership and Learning Centre that inspire and engage students from remote and very remote communities through the power of sport and leadership. General Manager Community Engagement and Partnerships Tony Considine said it was great to be able to renew the partnership with the Michael Long Leadership and Learning Centre and continue to engage Territory students. “This program has been significant in engaging our students with more than 650 Territory children from 20 communities participating in the education program,” he said. The residential camps will be delivered by the department’s Transition Support Unit (TSU) and focus on the social and emotional well-being of students while providing a practical experience of being away from home. The program is targeted at students aged between 11 and 14 years and aims to improve attendance, increase engagement and behaviour in school and provide a boarding experience, as well as awareness of education opportunities. Students will be selected by schools in conjunction with AFLNT Remote Development Staff based on attendance benchmarks, behavioural expectations and engagement in learning activities. The Michael Long Learning and Leadership Centre (MLLLC) has accommodation facilities for up to 64 people, a state-of-the-art gym and pool/recovery centre, education spaces and corporate facilities for functions and events.